The sixth son of eight children, Robert grew up on a small farm in the Hayward hills over looking the San Francisco Bay. His interest was always in music, singing for his family and friends at family gatherings. 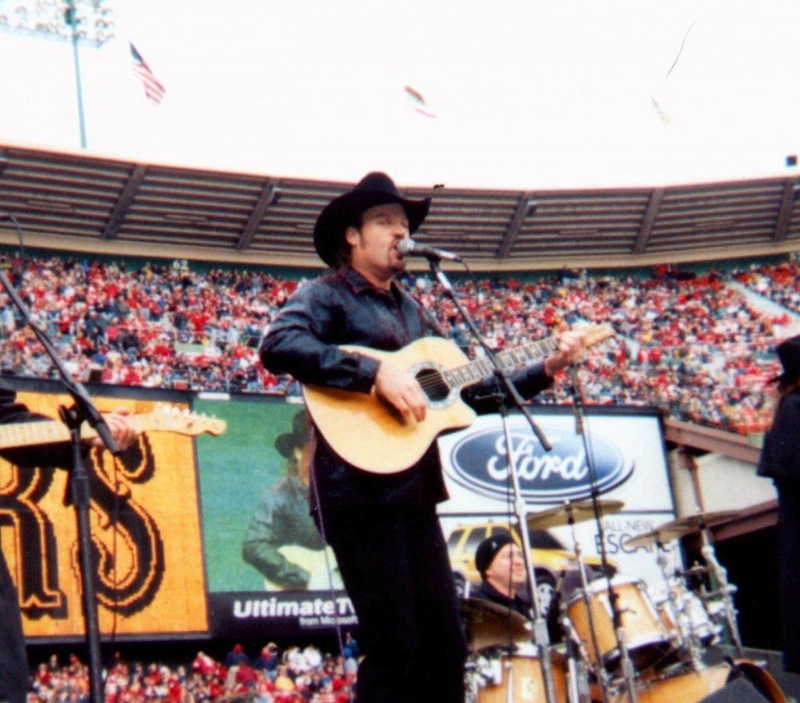 Robert’s mother Delores gave him his first guitar at the age of nine. He immediately began to learn to play songs from his favorite Country artists. He started playing in bands as a teenager and has never stopped! Robert has evolved into a dynamic performer, with great command of the stage, as well as a talented song writer. 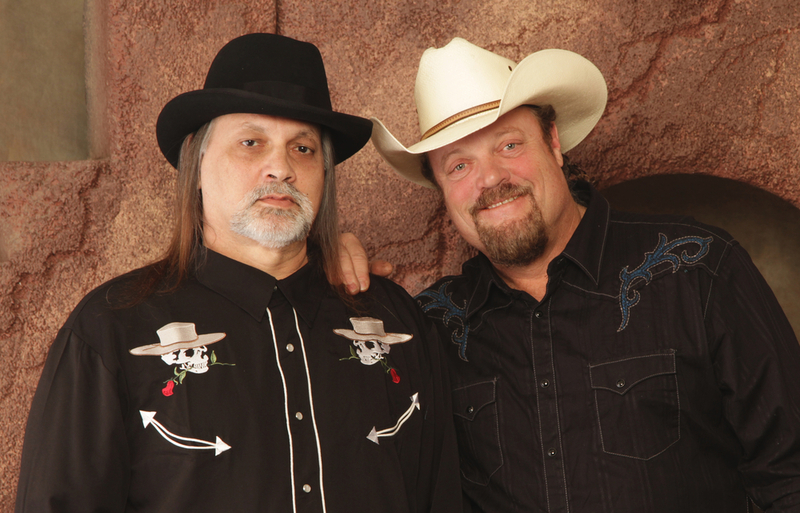 He has spent many years fronting his own band and has shared the stage with many of his favorite artists like Willie Nelson, Merle Haggard, Waylon Jennings, George Strait, Alan Jackson, George Jones, Ronnie Milsap, Alabama, The Judds, Dwight Yoakam, Travis Tritt, The Bellamy Brothers, Pam Tillis, Doug Stone, Joe Diffe and more. 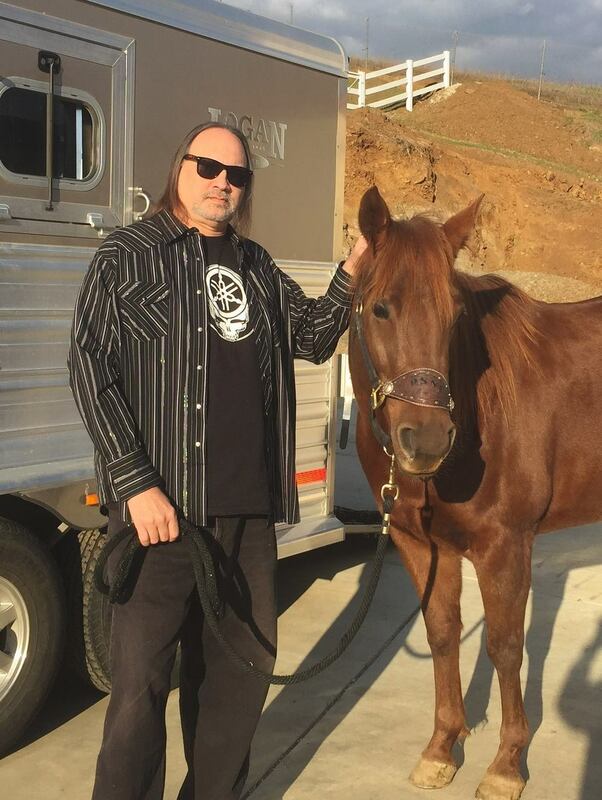 These days, Robert splits his time between writing and performing music, and working on his ranch, and yes, he has a TRACTOR! 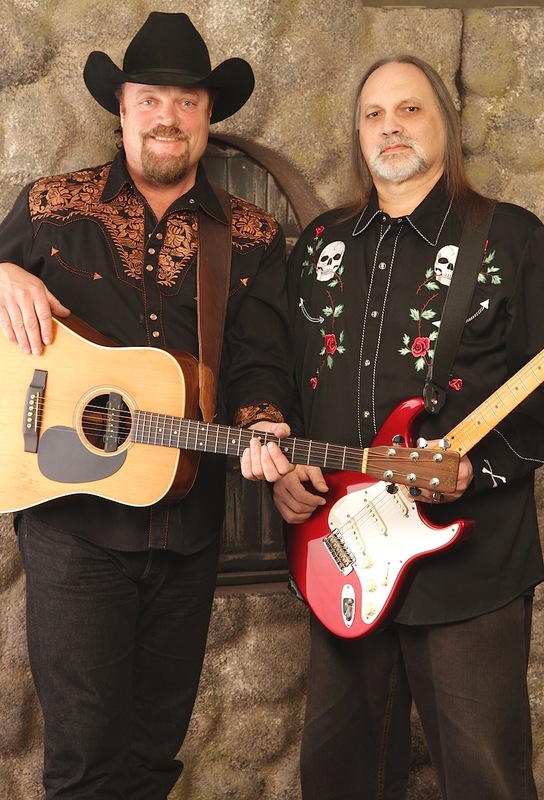 Robert has collaborated with "Big Ed" for many years and they have written many songs together, so it was a "No-Brainer" for them to work together, and bring to life, a new band called BOOT HILL BANDITS. This project is producing a wide range of great new songs! 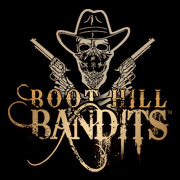 Robert is constantly writing and recording to finish the new BOOT HILL BANDITS album with "Big Ed" and the boys in the band, who are all seasoned, top shelf musicians. 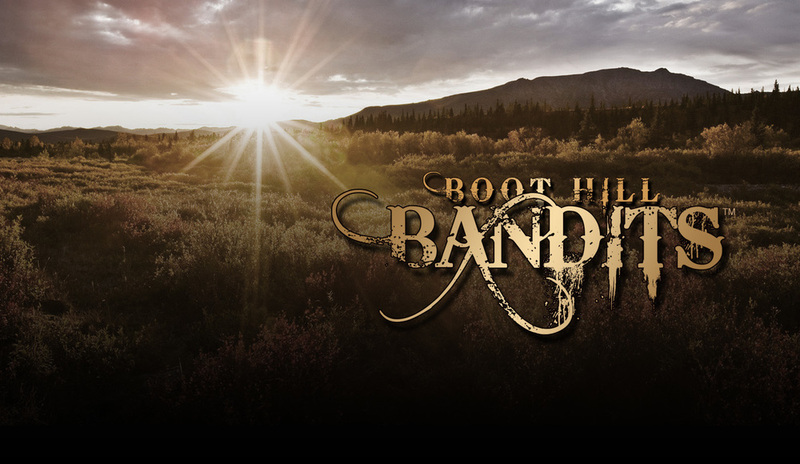 Robert always puts on a exciting show and is looking forward to spreading the music of BOOT HILL BANDITS! 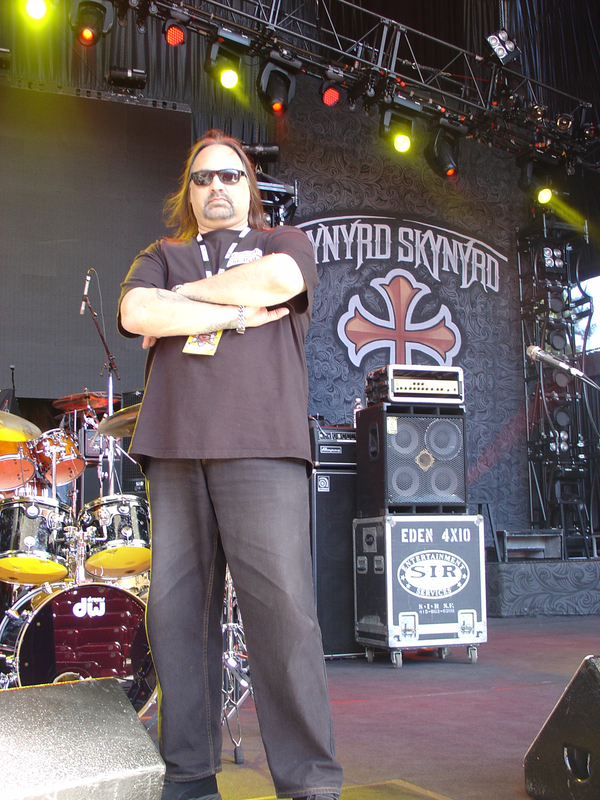 "Big Ed" started his first band in 9th grade and has been playing in bands and working in Music ever since. Right after high school, he worked for the legendary Concert Promoter Bill Graham. He learned a lot about the live music and touring side of the business, which came in handy after he left BGP and started a long career doing Radio and Club promotion for several Major Record Labels, as well as a couple of Indie labels. Even though his specialty was promotion, he would be the "go to guy" to send out on the road with acts on the labels as Road Manager and Front of House Mixer, touring around the world. There wasn't much he didn't do for the labels he worked for! He has been privileged to work for, and learn from, several of the most famous Record Industry Executives the business has ever known! 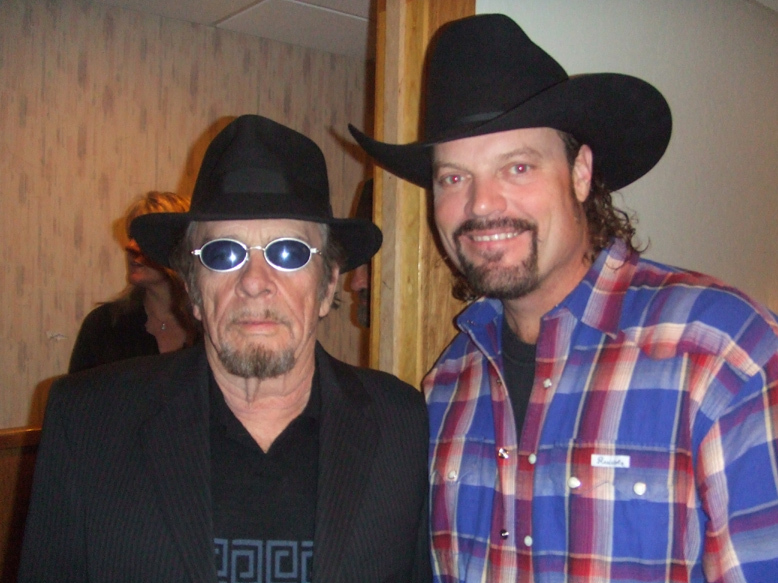 Having the opportunity to work with so many great artists and label people was a fantastic education that carried over into everything he has done and all he will do. 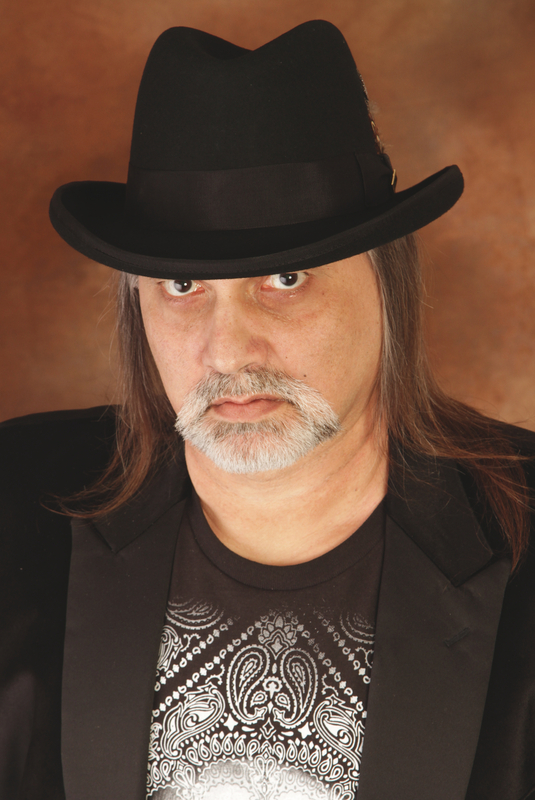 As a Producer, Mixer, Musician, and Song Writer, "Big Ed" has worked with multiple formats of music over the years, and has excelled at every one. 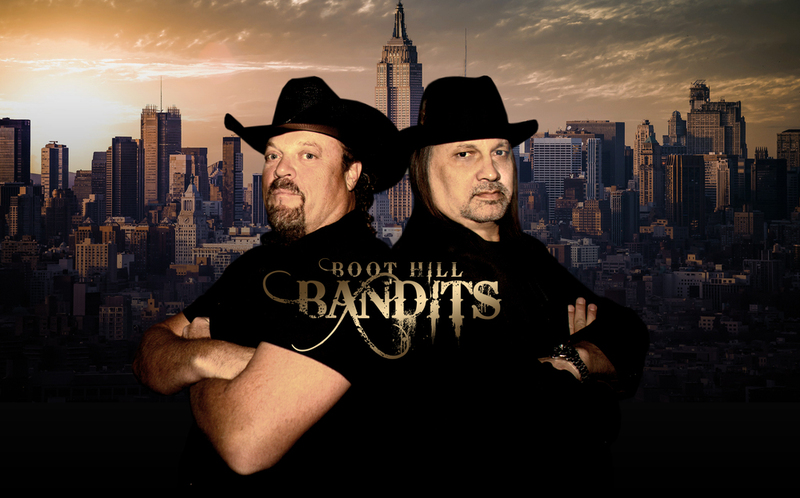 With BOOT HILL BANDITS, "Big Ed" is acting as Producer, one of the Engineers, Musician and Song Writer. 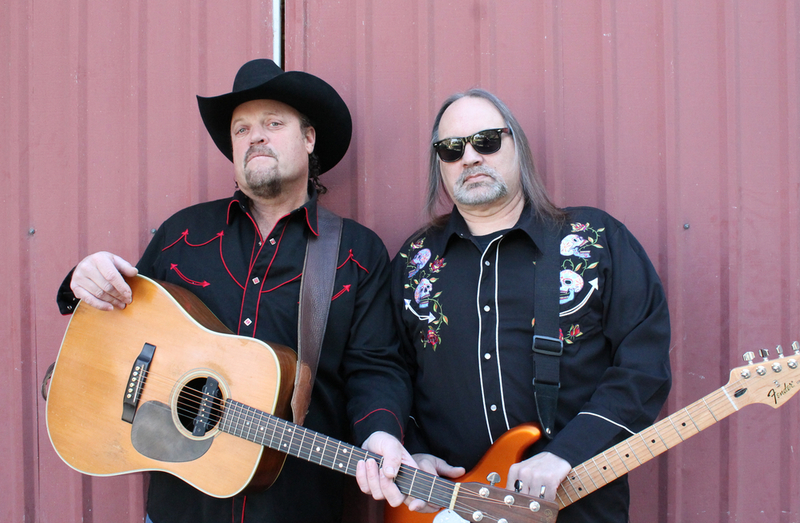 He has been writing songs for this project with Robert, as well as several of Nashville's finest Writers, who have many credits from multiple, well known Country Stars. These collaborations have produced a great group of strong, well written songs with a variety of themes and stories. 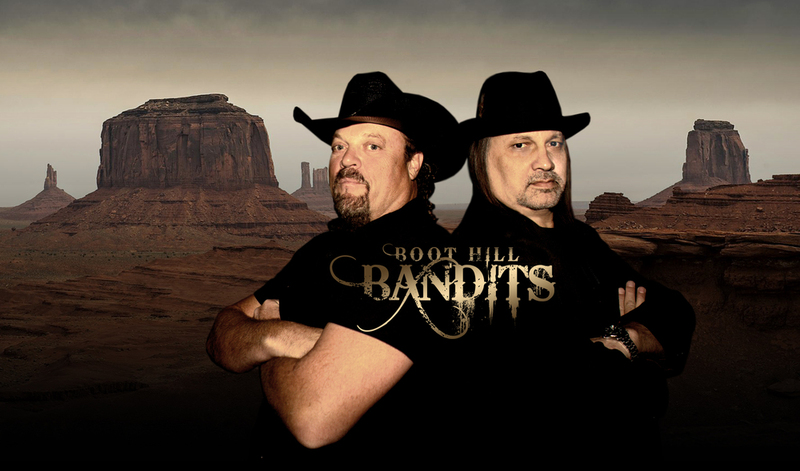 "Big Ed" is eager for the opportunity to share the music and message of BOOT HILL BANDITS! 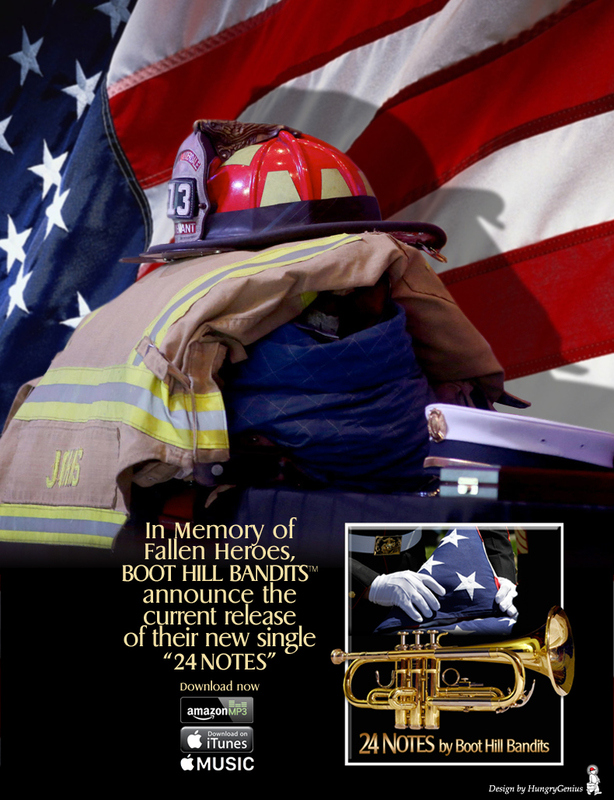 Boot Hill Bandits™ NEW SINGLE RELEASE of "24 Notes" is also dedicated, and pays a very special tribute to BUGLES ACROSS AMERICA and it's founder, Tom Day. 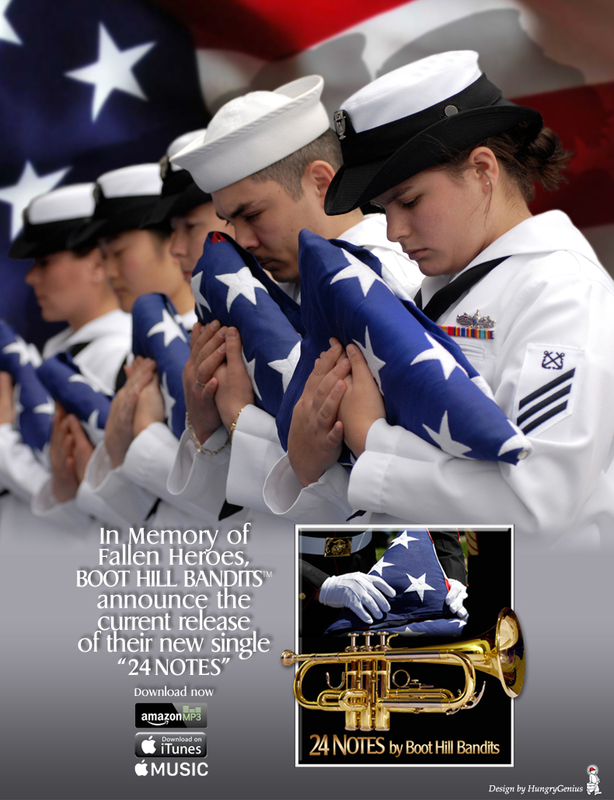 This Veterans organization has thousands of volunteers, who give of their time and talents to play "TAPS", otherwise known as "The 24 Notes", at Veteran's funerals all across our Country. Our hope is that Freedom Loving American's will support Bugles Across America, and similar Veteran projects like them such as Taps Bugler and Taps for Veterans. 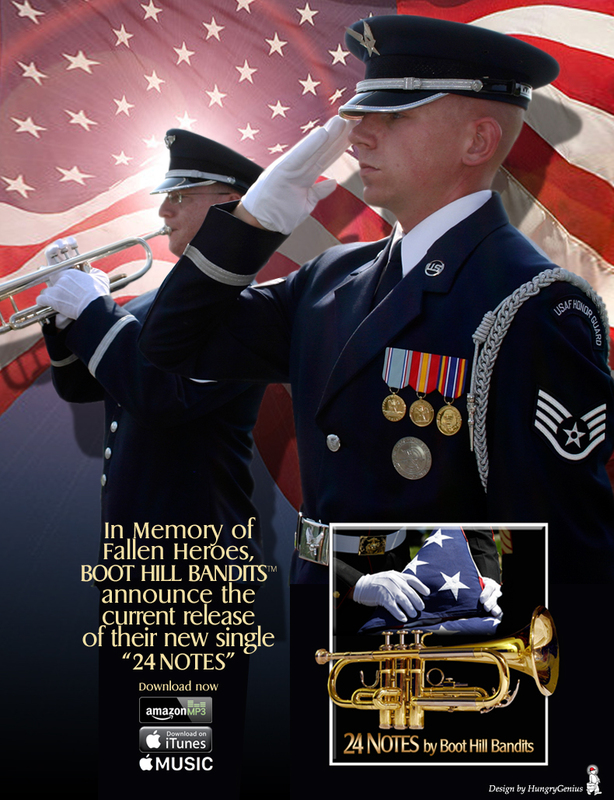 Bugles Across America was founded in 2000 by Tom Day, when Congress passed legislation stating Veterans had a right to at least 2 uniformed military people to fold and present the flag as well as a performance of "TAPS", at their funerals. Unfortunately, over 90% of Veteran's funerals use a PRERECORDED version of "TAPS", as the Military doesn't have the musicians available to give a Live performance to all our Veterans any more. Most Veterans are unaware of this situation. As Americans, who are also Musicians, we are saddened by the situation, but want to help with a solution, which this wonderful Organization is providing. 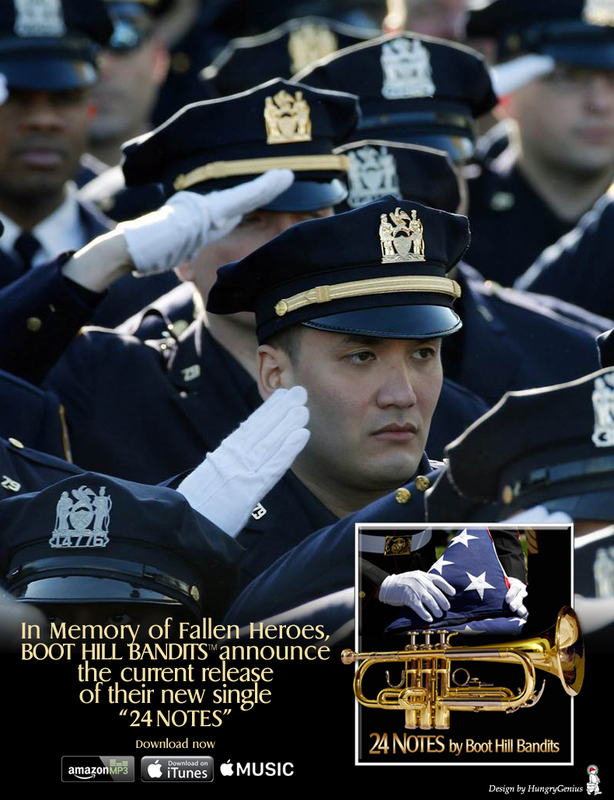 Bugles Across America is filling the need for real musicians by sending Buglers and Trumpet players to perform at Veteran's funerals, when requested, free of charge to the Veteran's families. They are the ONLY Veterans Organization addressing this issue! They are always in need of more volunteer horn players from all over our Country, and we know that they will get them, as we get the word out. Bugles Across America now has over 6500 bugler volunteers located in all 50 states and a growing number overseas. Bugler Volunteers can be male or female. They can play a traditional bugle with no valves, or they can perform the ceremony on a Trumpet, Cornet, Flugelhorn, or a 1, 2 or 3 valved bugle. The bugler can be of any age as long as they can play the 24 notes of "TAPS" with an ease and style that will do honor to both the Veterans, their families, and the burial detail performing the service. To date Mr. Tom Day and his volunteers have played for well over 250,000 American Veterans. When the need arises, all a Veteran's family needs to do is go to the Bugles Across America website and make a request. They will quickly get back to you and connect you with a volunteer Bugler in your area. It's that simple! We invite you to join us in supporting this great organization, as they work hard to bring Honor and Respect to our Heroes, on the day of their last goodbye. We salute them too! 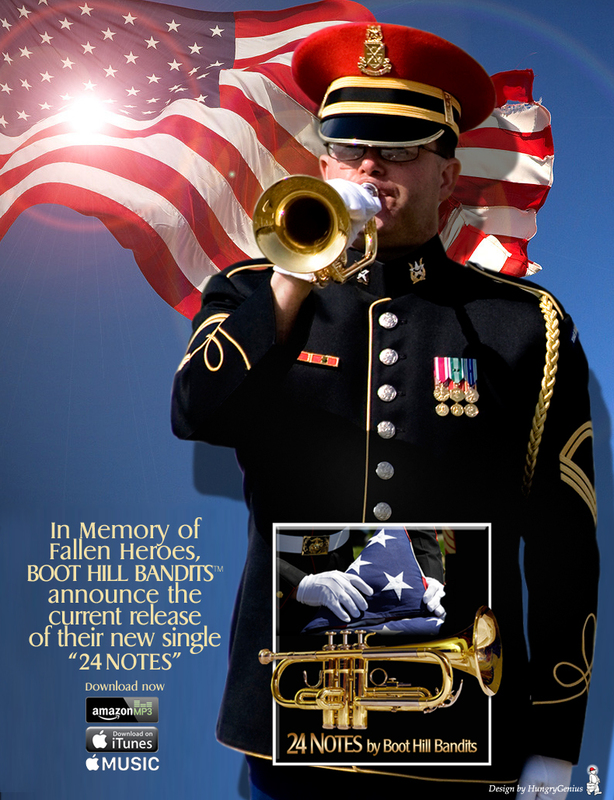 Visit Tom Day and Bugles Across America at; http://www.buglesacrossamerica.org Visit Taps Bugler at; http://tapsbugler.com/find-a-bugler/. *If you have an organization that assists and supports our Veterans and would like to be added to our website, please reach out to us through our "Contact-form." 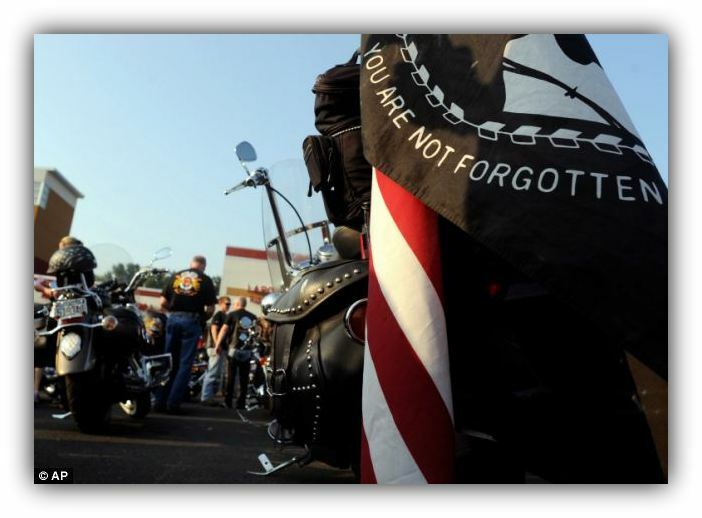 Be Sure to WATCH the "HONORING OUR VETS" VIDEO BELOW by Chris Wallace. 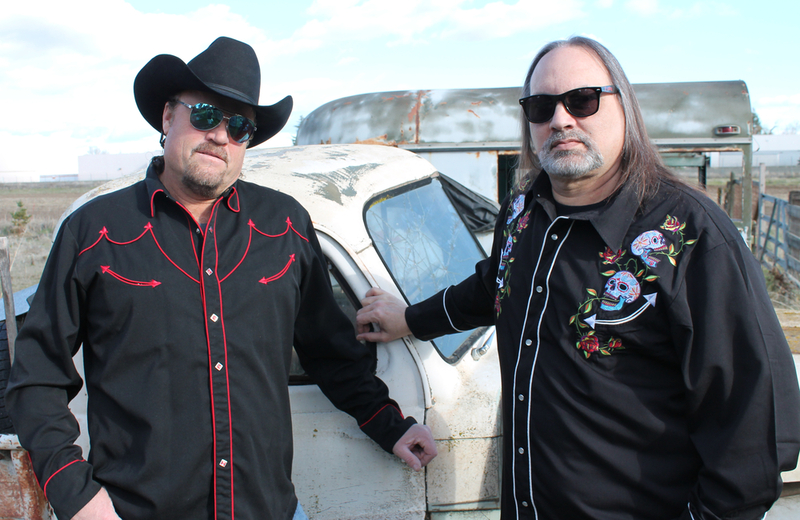 Backroads and Beyond Radio ~ Randy Boudreaux Debut #24Notes Memorial Day 2016! Thank you Randy! On behalf of BootHillBandits and HungryGenius® we Thank You! ON CDBABY, APPLE, AMAZON AND MORE! 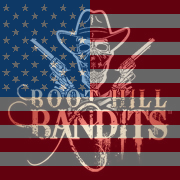 BOOT HILL BANDITS ANNOUNCE NEW SINGLE RELEASE OF “24 NOTES.” A TRIBUTE TO AMERICAN HEROES. *CLICK LINK BELOW TO GO TO PRESS RELEASE.